Today's post is all about an exciting package I was sent from a company called BKLYN. 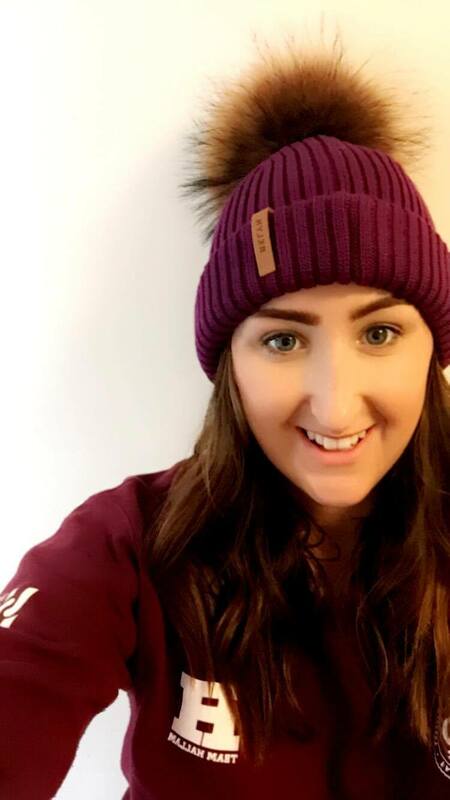 I was kindly sent a bobble hat from the team at BKLYN after connecting with the brand via The Blogger Programme website; a place where bloggers and brands can connect with one another. I would definitely recommend joining the website if you're a new blogger! I've been lucky enough to connect and work with many amazing brands on the site, but today's post is all about BKLYN; an online luxury accessories company. Firstly, the product was sent to me super speedily and came in lovely chic packaging. The packaging is made of cardboard and the product comes in a curved shaped slim box with the logo on. 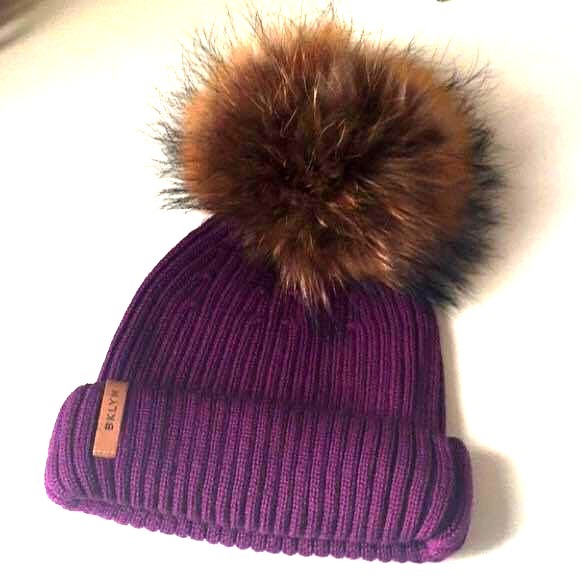 I was sent the Blackcurrant Raccoon Fur Pom Pom Hat priced at £55. I LOVE the colour. I would never usually go for something this bright but I think it's going to look amazing during the winter months and is a gorgeous deep purple colour! 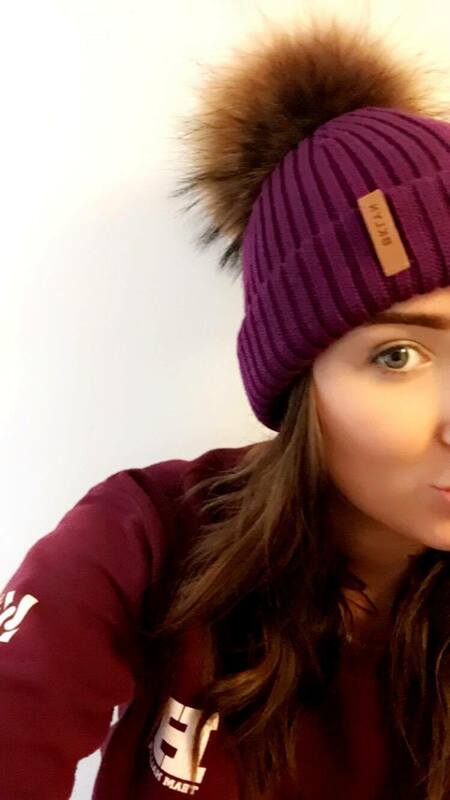 The hat is extremely soft and fits perfectly and also has the logo attached on one side. Overall I really like the hat, however I wouldn't personally pay £55 for it as I don't wear hats often enough to justify spending a large amount of money. If hats are your thing however and you are happy to pay more for your winter essentials then I would highly recommend checking out this brand. A massive thank you to BKLYN for sending me the hat! It will definitely become useful in England during the winter months as it is such good quality! I even had to wear it as soon as I came back from Croatia as it was SO cold! Typical England eh! ?